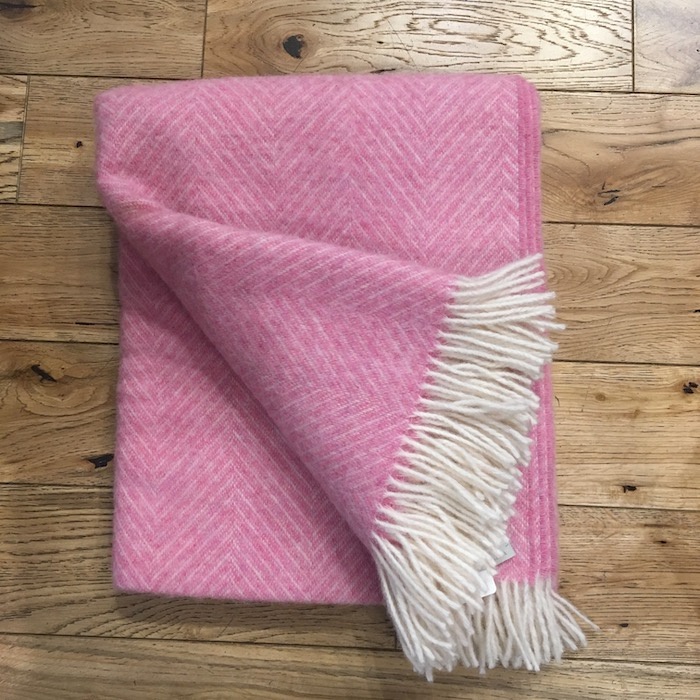 This beautiful and cosy throw by Bronte by Moon is made from pure new wool and is approximately 185cm long by 140cm wide. Bronte by Moon work from one of Britain's last remaining vertical mills and so control the entire manufacturing process to convert raw wool into beautiful products including the initial design, dyeing, blending, carding, spinning, and weaving. This all happens from their historic mill in Guiseley, West Yorkshire.